The Secrets of the Cross Trilogy by acclaimed author Elizabeth Musser, already a European bestseller, concludes with the American debut of Two Destinies, a story of forbidden love, passionate faith, danger, and intrigue. Now 1994, France faces unrest and rising poverty while neighbor Algeria is in the midst of a blood civil war. Rislene Namani, a French woman born to Algerian parents, converts to Christianity and falls in love with Eric Hoffmann, a Christian, committing the unpardonable sin in the eyes of her Muslim family. 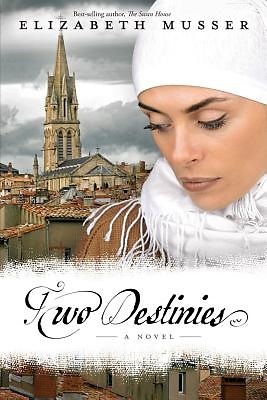 Eric must find a way to rescue her--from a forced marriage in Algeria, or even death. A powerful, relevant tale of social struggle, heartache, cultural conflict, and faith put to the ultimate test.